The nation’s most politicized state Attorney General and a “rising star” in progressive politics , Eric Schneiderman resigned less than five hours after after it became public that his idea of foreplay was beating up women. Five hours. That’s a new land speed record. Virtually all politicians put up a fight. Look at Anthony Weiner, who tried to remain firm and stick it out for months after he was exposed. Look at President Trump, who is weathering the storm as we speak. Look at Bill Clinton, who almost let a scandal with an intern blow up his Presidency, but still managed to bring it to a happy ending. At any rate, the speed at which Schneiderman folded leads me to think that there is much more out there about his escapades, and that it is so damning even other proggies won’t protect him. 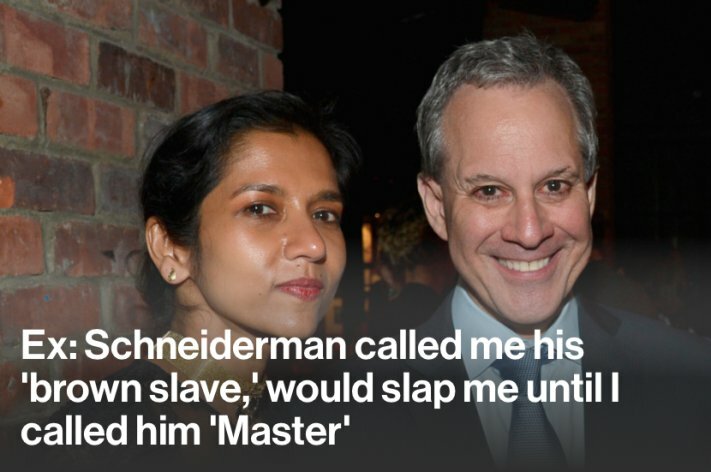 Schneiderman called one “woman of color” his “brown slave” and beat her until she called him “master.” Wow, this is (Democrat) KKK level stuff. Who does Schneiderman think he is, founder of the Democrat Party, slave owner and slave diddler, Thomas Jefferson? That said, this does not surprise me at all. Progressives focus on race, gender, and other genetic traits as defining people, and that is textbook racism. Virtually all progressive slanders aimed at the right are a projection of their own sins onto anyone who does not share in their myopic and dystopian ideology. Schneiderman is just a particularly egregious example of that truth. The most obvious mystery of the No-Knock Warrant issued against Michael Cohen out of the U.S. Attorney’s office in the Southern District of New York is that the person who sought the warrant from that office was not the interim U.S. Attorney for that office, Geoffrey Berman. He recused himself from involvement in the Cohen case. There are many bases on which an attorney can recuse himself from a matter, the two most common being an actual conflict of interest or the appearance of a conflict of interest. What we know about Berman is that he was personally interviewed by Trump for the job as Interim U.S. Attorney of SDNY and that he donated to Trump’s campaign. We do not know why he recused himself, nor whether he was pressured to do so. We do know that Rod Rosenstein signed off on both the no-knock warrant and Berman’s recusal. 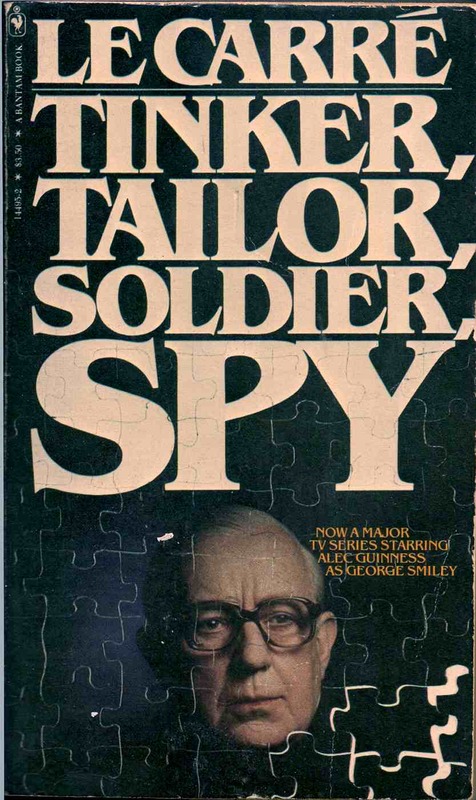 If Berman’s only basis for recusal was the appearance of impropriety – as Allahpundit at Hot Air speculates – once again we have a Republican bringing a safety pin to a fight where the proggies bring tanks and are not playing by the same set of rules. We can see multiple examples of real conflicts of interest that have been ignored by the DOJ in the special counsel fishing expedition — Rod Rosenstein for his involvement in Uranium One, his potential criminal exposure for signing off on an extension to the unlawful Carter Page warrant, and of course his unlawful authorization of for the special counsel to conduct the entire counter-intelligence investigation instead of limiting his jurisdiction to a specific crime; Mueller for his close personal relationship to Comey; Mueller’s team for their overt support of Hillary Clinton . . . and I could go on. donated between $10 million and $25 million to the Clinton Foundation over the years, and the New York Times reported that he lent his private plane to the Clintons. His name also appears in State Department emails made public by the group Citizens United as being invited to a small private dinner with then-Secretary Clinton. Do hope that the special counsel is right on top of that one. Lastly, there was one other basis listed in the warrant for the no-knock raid — the NYC taxi medallions that Cohen owns in his own private portfolio. Did Mueller and SDNY crowd tack on the taxi medallions as a means to engineer the recusal of Berman? To date, I can find no one who has contacted Berman and asked him about the justification and circumstances surrounding his recusal. The stench of all of this just got significantly stronger. The FBI gave Hillary a free pass for national security violations; now it conducted an outrageous raid against Trump’s attorney right before the IG report. This morning, the DOJ, based on allegations passed on by Bob Mueller, executed a warrant on Trump’s personal attorney, Michael Cohen, sweeping up a host of material covered by attorney client privilege. Indications are that the information related to Stormy Daniels, something completely unrelated to a single thing about Trump-Russian collusion. One thing is curious: Mr. Cohen was cooperating with the authorities, so why were the jackboots brought in? A special team of agents will need to go through the material in order to identify communications that are protected under attorney-client relationship. If the New York agents just happen to find something relevant to Mueller’s investigation they can turn it over to the special counsel, The New York Times reports. Under federal law, such campaign-finance violations, if they aggregate to just $25,000 in a calendar year, may be treated as felonies punishable by up to five years’ imprisonment . . . Yet, as that lawyer, Michael Cohen, has discovered, what was not a crime in the Obama days is the crime of the century now. . . . This warrant is from the same bastards who have yet – two years after the fact – to execute a warrant to verify that the single most basic fact of the collusion story, that the DNC server was hacked by the Russians. This from the same bastards that allowed Hillary to maintain her private server for months after it became known that she had run all State Dept. business through that server, all but certainly exposing thousands of confidential, secret and top secret documents and items of information in violation of our state secrets laws. During that time, Hillary and her attorney wiped that server clean. And now these bastards, seemingly having found nothing on which to charge Trump relating to Russian collusion, and having given Hillary and her team a pass on crystal clear felonies, go after Trump and/or his personal attorney on a technical violation of election law? These worthless bastards are out of control. 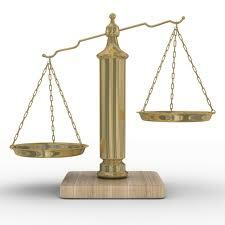 The attorney–client privilege is one of the oldest recognized privileges for confidential communications. The United States Supreme Court has stated that by assuring confidentiality, the privilege encourages clients to make “full and frank” disclosures to their attorneys, who are then better able to provide candid advice and effective representation. We have a few fixed data points about today’s raid on Trump’s attorney, Michael Cohen, but not much else. I’m interested in your thoughts on the matter. Robert Mueller is supposed to be probing whether Trump colluded with the Russians in the lead-up to the November 2016 election. Trump had an affair a decade ago with an adult film actress. Trump’s attorney Michael Cohen paid the actress money to keep her mouth shut. Despite accepting money to keep her mouth shut, the actress has revitalized her career by talking non-stop. Mueller, with Deputy A.G. Rosenstein’s agreement, gave some information to the FBI’s Southern District of New York office. Based on that information, the FBI got warrants to raid Cohen’s home and office. Leftists are thrilled, believing that this is the prelude to criminals charges against Trump and impeachment. That’s what we know. (At least, since this is off the top of my head, I think it’s what we know.) I haven’t formulated any conclusions or ideas yet. In part, I think it’s premature to have any real idea what’s going on. Still, I’m interested in what your thoughts are, even at this early stage.